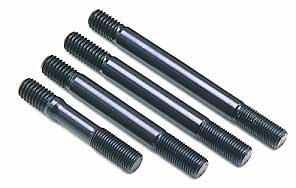 ARP2000 Pro Series Head Studs for an Evo X are heat-treated prior to thread rolling and machining, and are rated to 190,000 psi. This kit includes all nuts needed, and also comes with hardened parallel washers for an even load distribution and accurate torque readings. ARP2000 Head Stud kit for your 4B11.